A review of Animal Pak multivitamins. Taking a daily multivitamin is a great way to get all the necessary vitamins that your body needs to stay healthy and function properly. Animal Pak multivitamins offers this and it also offers a lot more. Animal Pak is a multivitamin supplement that combines every mineral and vitamin you need to help you with your workout progress and break tough workout plateaus. It has a long history starting all the way back to 1983, where workout supplements were only used by the professionals. But as more people began to workout, Animal Pak made its name in the general public. Many people like Animal pack because it is specifically designed for bodybuilders. Multivitamins that are for men or women, don’t have the extra nutrients that weight lifters need to help them make progress at the gym. The thing that I like most about Animal Pak is that every packet has vitamins that do the best job in increasing hormones levels. This is vital, not only to help keep you healthy, but to also stimulate muscle growth and increase your endurance levels. Anther thing that I like about Animal pack is it has a lot of antioxidants in every vitamin, to help you maintain a healthy body. When comparing it to other multivitamins the ingredients don’t even compare. This is why I love Animal Pak. The thing that I don’t like about this product is that you have to swallow a lot of vitamins on a daily basis. And let me tell you, these pills aren’t small; they are rather large. Anther thing that I found when researching this product, is that some people claimed that their stomach hurt after they took Animal Pak. Although most people said they had no problem taking the vitamins. Other that that, there really isn’t anything bad to say about Animal Pak. 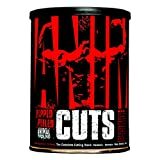 Animal Pak has no artificial ingredients or anything that would harm your body. It only has natural vitamins and minerals that every body needs. Vitamins like zinc, calcium, potassium, phosphorus, and many others are essential vitamins that you need are in Animal Pak. There are also amounts of Lysine, Methionine, Leucin, and Glutamic Acid, which are Amino acids that help with repairing your muscles. Animal Pak also offers many digestive enzymes and fatty acids. Animal Pak has 44 packs of daily vitamins. Some advanced bodybuilders may find a second pack a day may suit them better. If that’s the case, take a pack in the morning and one in the afternoon. People claim that when taking Animal Pak they feel great. While others have claimed of some Animal Pak side effects. 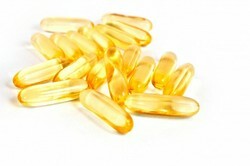 They say that their stomachs hurt and they had problems with their kidneys, as a result of taking these multivitamins. 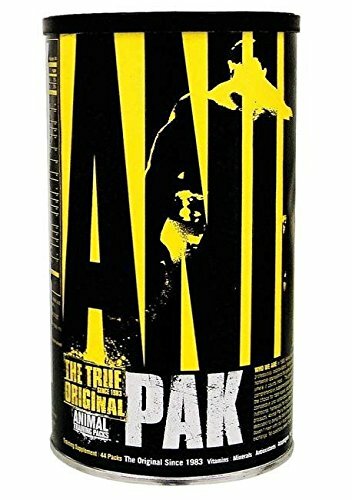 So in conclusion I suggest you try Animal Pak and see if you like it yourself. Although if you are tight on money I suggest you try out another multivitamins because Animal Pak has a high price tag. But if you really want to see the best results, try Animal Pak. What always helps me is the writers own experience. What are your results using these supplements. Did you notice any difference? If so, did you notice the difference in a week? What kind of difference did you notice. Did you feel better, stronger? Did it last? Well, I think I'll give them a try. Some people have sensitive stomachs and things like that may upset them. Any vitamin can do that. Sounds great. Thanks for the info! Looks very good. The only thing that worries me is the increase of the hormone levels which is not good for me. Supplements escpecially working out are essential. Thanks for giving such a good review about the bad and the good so some proper decisions can be made. I just started with the aim of getting that six pack....but first I need to shed some 20 lbs and trim those fats around my tummy, hopefully within a month or 2. Question I'd like to ask is, should I start taking AP or should I get rid of my tummy fats first? If you exercise or play sports, Clif Shot Bloks give your body what it needs to increase energy and promote muscle recovery in an organic way. Learn more! Losing weight fast is something many want to do but they do it all wrong with crash diets and unmanageable workouts. Try this instead.